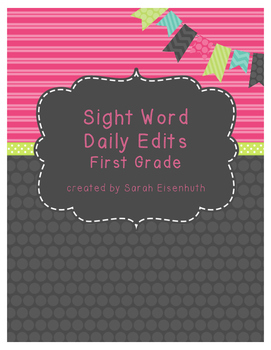 This download contains a daily edit workbook that will provide your students with edit practice every day of the school year. 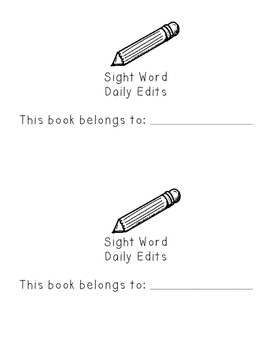 The workbook contains 180 sentences to edit for capitalization, ending marks, and spelling. The spelling edits come from a first grade Anchor Word list. 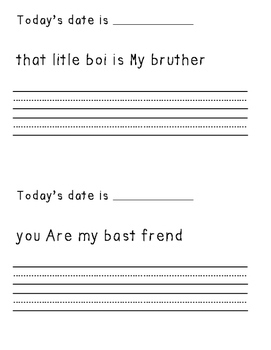 A list of these words is included at the end of the download, and can be laminated (and even taped to student desks) for reference throughout the year. 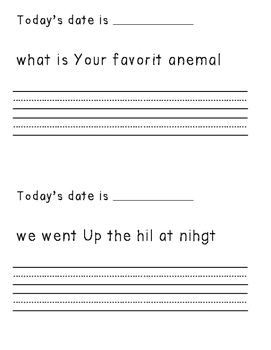 These Daily Edits can be used at a writing center, for morning work, or as a whole class transition into writing lessons. This is a great purchase for back to school!